Set of 12 PNG, JPG and EPS vector items. 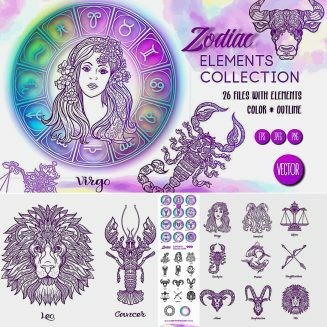 An elegant Zodiac Astrological horoscope collection. All illustrations are vector-based and easy to modify with basic Illustrator knowledge. 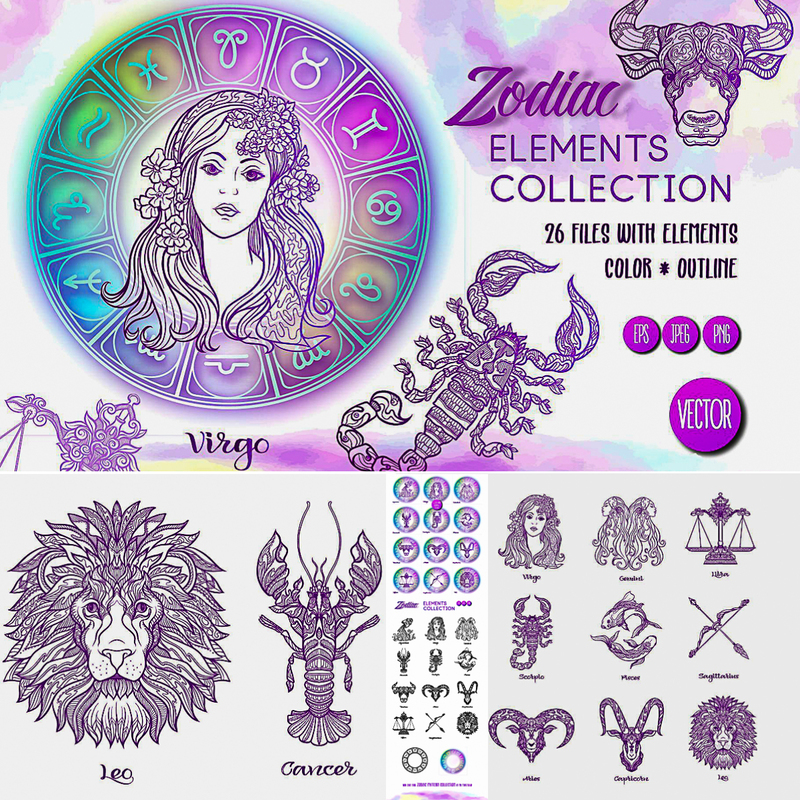 Tags: astrology, cancer, horoscope, icon, leo, month, mythology, prediction, symbol, tattoo, zodiac, zodiac sign.